Why join the TVR Car Club? What benefits are there to me if I join? 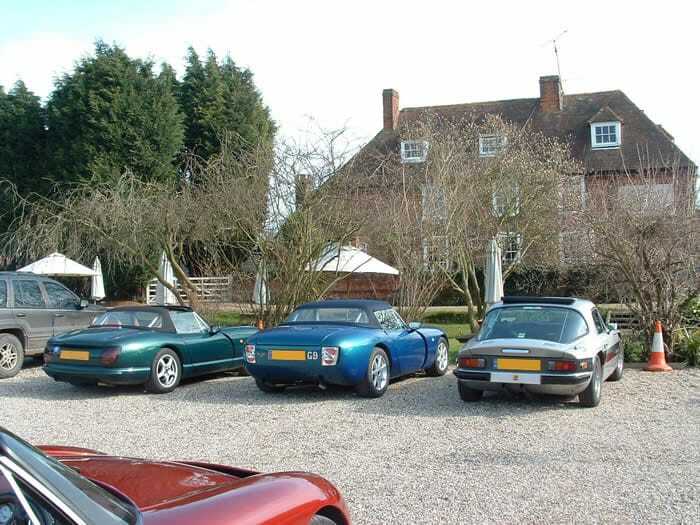 The TVR Car Club offers a range of services to its members. Click on the links below for more details. 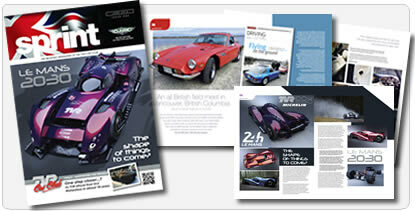 The 64-page monthly full colour A4 magazine packed full of TVR related articles, photographs, motorsport reports, specialist companies. It is not available to non-members. It has won a series of industry accolades including either winning or taking runner-up as Best Car Club Magazine from Classic and Sports Car Magazine every year since 2006. Latest win was Best Club Magazine in 2016. Based in Newport, Shropshire, the TVR Car Club Office is available to answer your queries 9am-5pm Mon-Fri on 01952 822126 or by using the online club office enquiry form. The Office, run by Alison Brown, has a wealth of TVR experience and can usually provide instant answers to your queries. 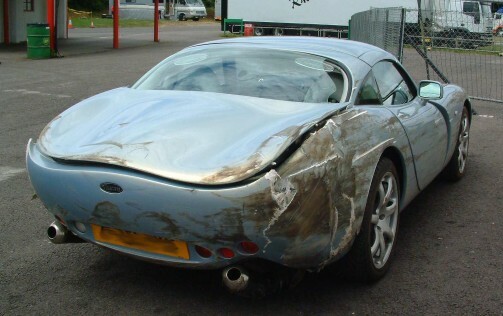 The TVR Car Club has negotiated special rates with a cross section of insurance companies for Club members which, for many, will offer the very best cover available. For some individuals,however, we and our providers both recognise that a combination of circumstances will combine which will result in other companies being ableto offer cheaper cover. Nonetheless, even in these cases, it is frequently a requirement of the insurance that you are a member of the recognised club for the marque in order to benefit from these lower rates. TVRs are specialist cars, and for that you need a specialist insurer. It is one of those areas where cheapest is not necessarily always best, as the time to find out that your £50 premium saving equates to a poor service should the worst happen. ​The owner of this unfortunate Tuscan (right), for example, found out that his insurance didn't cover him on a track day after he decided to argue with the armco. A full list of TVR Insurance Specialists can be found here. Although you can attend track days with other Clubs/Companies, we believe that we offer the best combination of value for money together with safety, TVR experienced instructors, lots of track time and a TVR only environment that other providers cannot offer. In recent years we have held track days at Cadwell Park, Rockingham check members forums for details or events calendar for future dates. 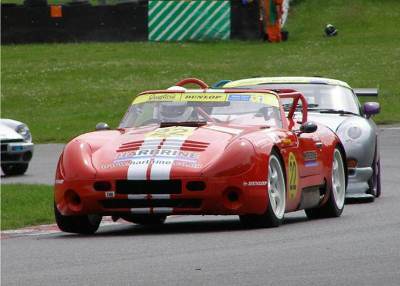 The TVR Car Club has run its own race series since 2000 and which developed in 2004 into the TVR Car Club Challenge Cup which is open to all TVRs. In 2006, this combined with the former factory-run TVR Tuscan Challenge into the only “TVR only” race series in the world. This series is now extremely popular and competes at some of Britain's premier race circuits such as Oulton Park, Snetterton and Brands Hatch. The 2012 Championship was won by Club member Tim Davis in a Tuscan (below). We run two Sprinting Championships - the TVRCC Speed Championship - which is for TVRs only and has been competed for for over 12 years - and new for 2013 the TVRCC Classic Marques Challenge in which you can pit your TVR against a series of other classic British sportscars such as MG, Healey and Aston Martin. Both series compete all over the countr and are often co-located. There are 24 different rounds in 2013 (Speed Championship, 18 in the Classic Marques Challenge) in venues ranging from airfields (North Weald), to hillclimbs (Prescott/Harewood)to test tracks (MIRA/Hethel) to circuits (Mallory). The 2012 champion, Jez Firth, continues to perform well in his Class B Griffith although the Class A competitors, such as 2011 champion Stewart Lobley (below) are snapping at his heels. In addition, the TVRCC offers support when requested to competitors in all other forms of motorsport where they promote TVR. 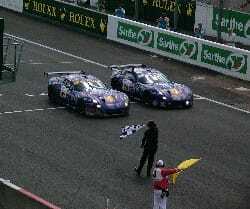 In 2003, 2004 and 2005, the Club sponsored the TVR entry into the Le Mans 24 hour race including the historic first ever finish of that race in 2004 by both Synergy Chamberlain Motorsport T400Rs. They are often represented at UK rounds of the Britcar (where for 2013 Club members Andy Holden and Steve Glynn are each flying the TVR flag in their Sagaris V8s) and occasionally European rounds of the FIAGT. In recent years, the Le Mans Classic has also grown in popularity and 2012 saw nearly 750 Club members descend on the La Sarthe circuit in July to support the 5 Granturas entered, including the historic 50th anniversary return of the original YFR 751 that first raced at Le Mans in 1962. The Club provides support when requested to all older TVRs racing in the historic series; they have supported various Granturas entered into the Le Mans Classic in recent years and even assisted one member with his costs to enable him to compete in an endurance race in the USA in a 2500M. 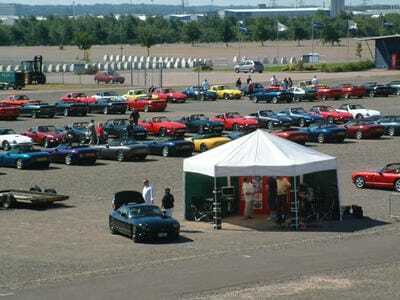 The TVR Car Club organises a number of non-track related events throughout the year to bring enthusiasts together. This has previously included gatherings in Blackpool, despite the closure of the Bristol Avenue works in 2006. Big Northern Gathering, held in Blackpool over the weekend of 3-5 Sep 2010, was generally accepted as the best event the TVRCC has ever held and was a finalist for best Club event in the 2010 Classic & Sports Car annual club awards. 2011 saw the Club taking over the Goodwood estate for a weekend in June to celebrate "TAG11" - TVR at Goodwood - and this too made the final shortlist for best Club event for that year's Classic & Sports Car annual club awards. Other venues for national events have included BrandsHatch, Duxford, Nottingham, South Wales, Scotland, the Isle of Man and the Shuttleworth Collection in Bedfordshire. In 2004 the Club hired the Millennium Stadium in Cardiff for a spectacular event involving over 500 members and a memorable “rumble” through the city early on Sunday morning to wake up the inhabitants! 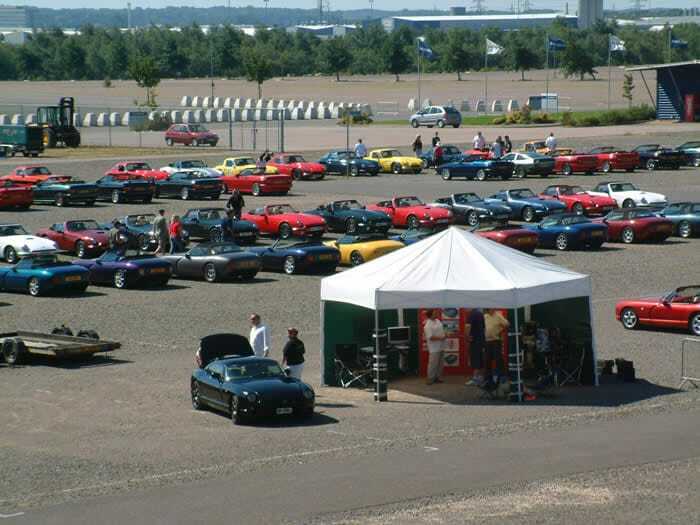 In 2007, around 1700 members and 1000 TVRs descended on Rockingham Motor Speedway for Diamond Rock, the biggest gathering of TVRs ever to celebrate the 60th anniversary of the birth of the company. The Club has nearly 50 individual regional monthly meetings spread around UK ranging from the Highlands of Scotland to the Channel Islands. These allow members to get together informally and talk to other owners about their experiences with their cars and frequently gain valuable local advice about specialist services. ​If advice is not available locally, the Club has access to host of other specialists who will be able to answer your query. ​Although a large part of this site is open to the general public, there are some additional areas which are restricted to members only and are accessible only to those members who are showing as current in the Club database. Discussion Forums. These are member only, troll free forums where you can be assured that your questions will be answered knowledgably. Members Benefits. A full list of all of the companies offering discounts and special offers to TVRCC members saving potentially hundreds of pounds per year. Club Archives. 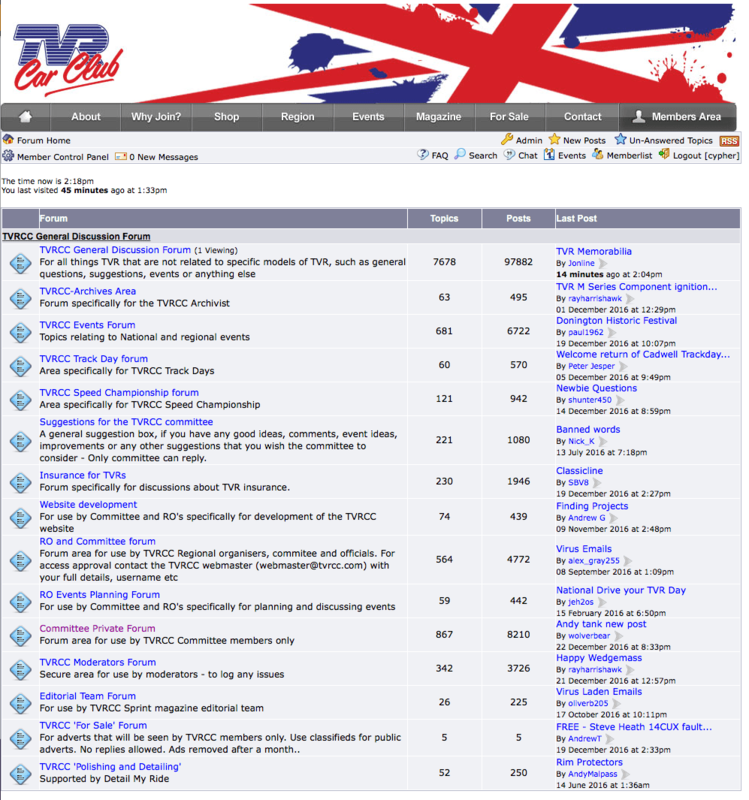 The TVRCC is slowly digitising its extensive archive of TVR related material and making it available to members to view online. For a sample click here. Sprint Archive. The TVRCC is also digitising the entire back catalogue of Sprint. Members will view this in a dedicated pdf page turner. TVR Colours. Looking for a TVR but need to know what the difference is between Rolex Blue and Starmist Blue? Look no further. In conjunction with one of our members, who is a specialist in the automotive paint industry, we have pulled together a series of photographs of all of the main TVR colours and many of the lesser known ones. FAQs. A list of frequently asked TVR history and technical questions. RO Area. A page dedicated to our regional organisers with extra information including downloads of Club logos, the RO guide and advice of what material and services the Club has available to help regions with their own events. TVRCC TV. An area where all TVR related videos are hosted ready for you for download. Picture This. Picture This is a monthly photographic competition hosted in the Club magazine, TVR Sprint. Events Pages. A full day by day listing of everything that is going on in TVRland, together with reports on past TVRCC events. Motorsport. Full race details of the Club's own race series, the TVR Car Club Challenge Cup, as well as the TVRCC Speed Championship for Sprinters and information about all other TVR related motorsport. Challenge Cup results are usually posted here within 60 minutes of each race finishing. Model Areas. A model by model breakdown of TVRs with history and technical information. Trade Links. A full list of companies who have been recommended by our members. There is the camaraderie of belonging to the largest group of enthusiasts for Britain’s greatest sports car. I don't own a TVR but am an enthusiast of the marque. Can I join the TVRCC? The club is open to anybody who has an interest in these great British sportscars. You do not need to own a TVR. I am looking for a TVR. How can you help? Second, go along to your local meeting, meet like minded enthusiasts and talk to owners of the type of TVR in which you are interested. Find out what to look for and what to avoid! Third, you may well find a pristine example of the car you are looking for in the Market Place pages of Sprint or in our online classifieds. We can put you in touch with specialists who may be able to source your car or if you have already found a potential car, cast his expert eye over it. But I drive a Tamora. Car clubs are about older cars and men smoking pipes aren't they? 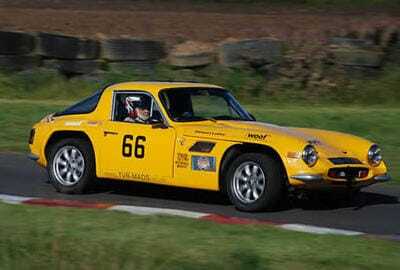 The TVR Car Club caters for all TVR enthusiasts. Owners of classic TVRs such as the Grantura and Taimar, future classics such as the Tasmin, S Series or Griffith or the last cars to come off the Bristol Avenue production line T cars such as the T350, Tuscan 2 or Sagaris are all equally welcomed. The TVR Car Club is well represented abroad with ten international regions and members as far afield as California, the Phillipines and New Zealand. Sprint magazine can be sent via airmail to keep you up to speed with all matters TVR. I'd like a TVR but they are all group 20 insurance. Can I get it any cheaper? Yes! Extremely competitive rates are available to club members from a range of specialist insurance companies. How do I join the TVRCC? All members receive the benefits outlined above, joining is simple just click on join now to purchase a new membership online in our shop. Don’t delay start receiving membership benefits today. 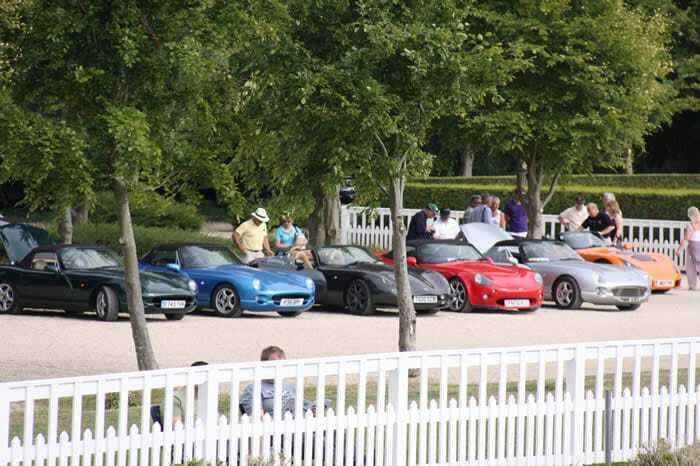 Remember you do not need to own a TVR to join, Most new members join first to find out more out TVRs before buying one. Just knowing what to look for could save you far more than the cost of the subscription. If you would like to read the Club Articles of Association (our "rules") before joining please click here. If you have any specific questions that you would like to ask that these pages have not answered, please contact the Club Office.